New South Wales has more than 1.3 million natural gas customers, and if you’re one of them, you’ve probably noticed that gas isn’t as cheap as it was just a few years ago. Finding a good price on natural gas is no easy task, especially since it feels like most energy companies care more about their electricity customers. So to help you better understand your options and see how much you can save, Canstar Blue has put together a list detailing NSW gas retailers and how much you can expect to pay. With the lifting of gas price regulations in 2017, it’s never been more important to compare your options and search for a better deal. The gas retailers are now free to set their own prices, meaning you will need to pay attention to avoid falling into the trap of paying too much. Which natural gas supplier is cheapest in NSW? The majority of NSW households are connected to the Jemena gas distribution network, spanning most of the central and east coast (including Sydney, Hunter and Illawarra) and parts of the inland, including the Tablelands, Riverina and the central west. So where can you find the cheapest gas prices? To offer a guide, we’ve calculated prices from seven major retailers on the Jemena gas network. These costs are based on relatively high gas requirements of 50.8 MJ per day. Prices factor in gas usage rates, supply charges and any conditional discounts that are available on the retailer’s cheapest market offer. The following costs should be treated as a general guide only. “Annual cost estimates based on daily gas usage of 50.8 MJ, March 2019. Gas prices based on gas provided through the Jemena gas network. *Product and discount only available where the customer purchases both gas and electricity from the same retailer. There may be other retailers available in your area. Our price calculations suggest that Amaysim Energy, Red Energy and AGL are currently the cheapest natural gas retailers of those that we have compared in NSW, with Alinta Energy and Origin Energy following quite close behind. But remember that this is a specific comparison and costs will vary depending on your personal circumstances, including gas usage and where you live. It’s important to understand that the biggest gas discount doesn’t always translate to the lowest prices. EnergyAustralia offers the biggest discount by far, but you can see that other retailers with much smaller, or no discounts can work out cheaper. Another thing to keep in mind is the benefit period. A benefit period essentially refers to how long the discount will last. At the end of the benefit period, you will lose your discount and be reverted to your retailer’s standard plan. These days however, your gas provider should get in contact with you and offer you a new contract prior to the benefit period expiring. That said, it may be in your financial interests to compare gas offers from other retailers at the end of your contract. It’s a similar story when it comes to electricity prices in NSW. Prices can fluctuate from one month to the next, so you’ll want to make sure you’re still getting a good deal. To get the cheapest gas deal possible, you need to understand how you’re charged for natural gas. The two key components to your gas bill are usage charges and supply charges. Depending on your provider and gas deal, there may also be additional discounts, fees and charges. Usage charges: The usage rate applies to gas that you actually use and is measured in megajoules (MJ). Some gas plans will charge you the same rate for all gas usage (referred to as a single/flat rate), while other gas plans will charge on a block rate tariff. Customers on a block rate are charged different rates depending on the quantity of gas consumed. When it comes to gas, it is usually the case that you’re charged a lower rate for each block of usage. For example, a customer may be charged 4c/MJ for the first 20 MJ used, 2.7c for the next 20 MJ of usage, and 2.5c/MJ for the rest. Supply charges: This is a daily, ongoing fee paid, usually around 60 to 70 cents per day. This is essentially a fee for just being connected to the gas network and applies regardless of how much gas (if any) you actually used. Supply charges can constitute a large portion of your overall bill, especially if you don’t actually use much gas. That’s why it’s important to check the energy price fact sheet to understand the composition of your bill. Discounts: If you refer to our cost comparison table above, you will see each retailer offers a discount between 10% and 17%. Discounts can save you hundreds of dollars on your gas bill, however, you will usually have to meet certain conditions to receive it, such as paying your bills on time or with direct debit. Also be sure to check the energy price fact sheet to see whether the discount applies to both usage and supply charges, or just the usage charge component of your bill. As mentioned earlier, while Red Energy has a small 10% discount, the fact that it applies to both usage and supply charges makes it cheaper than some of the other options. 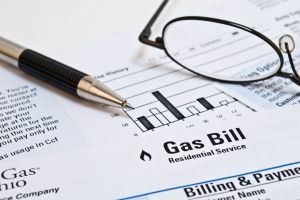 Other fees and charges: On a close inspection of your gas bill, you may notice a number of small fees and charges added on top of usage and supply costs. These may be due to a credit card surcharge, late payment fee or a paper mailing fee. If you see an added fee on your bill that you’re not sure of, don’t be afraid to question your gas company about it. Just like with electricity, there are two types of natural gas contracts – standard contracts and market contracts. Standard contracts: These contracts are regulated by the NSW government, and designed to give customers a fair price for gas with no strings attached. While standard contracts afford customers additional protections, they don’t include discounts and are generally poor value. Market contracts: Market contracts are designed by the retailers. They often include discounts and can help customers reduce their overall costs, provided the conditions are met. The biggest drawback with market contracts is that your gas retailer has more freedom regarding when and how it can change your rates. The discounts also don’t usually last forever, so customers on a market deal should compare gas retailers at least every 12 months. What’s cheaper – electricity or gas? It is a widely-held view that natural gas is cheaper to use than electricity. 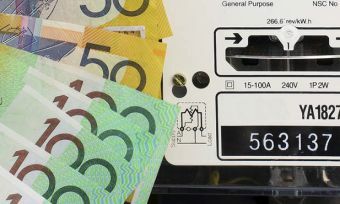 A kWh of electricity in NSW costs about 30 cents, while that same amount of energy in gas only costs about 7 to 10 cents. However, the choice between electricity and gas becomes a little more complicated when you factor in the supply charges. If you have a gas connection, you’re charged a daily fee of around 60 to 70 cents in addition to your electricity supply charges. So while natural gas usage rates are often quite cheap, supply charges create a situation where gas will only be worthwhile if you have moderate to high gas usage. Gas will almost always be more affordable for high-usage appliances like hot water systems and heaters, but if your only gas appliance is a gas cooktop, then consider if you could save by switching to an electric cooktop. Which gas retailer is rated highest in NSW? The natural gas that cooks your dinner and heats your water is the same gas regardless of who your gas retailer is, so you should just pick the cheapest supplier, right? Sure price is important, but other factors also play a part in how satisfied you are with you energy provider. The cheapest deal is not always the best if you’re getting poor service. That’s why Canstar Blue produces an annual review of gas suppliers in NSW, to find out which are rated highly for customer service, as well as price. Check out our gas ratings here and find out which electricity provider has the happiest customers via the link below.